Kylie Jenner has gotten a lot of hate over the years, especially for the way she looks. The number one issue people had were with her lip fillers. She didn’t talk about it for a long time but eventually opened up about how she was insecure about her lips. Kylie Jenner has gotten a lot of hate over the years, especially for the way she looks. The number one issue people had were with her lip fillers. She didn’t talk about it for a long time but eventually opened up about how she was insecure about her lips.But recently her face seems to be changing. If you look at her more recent posts, you’ll see that her lips aren’t as big as they used to be. 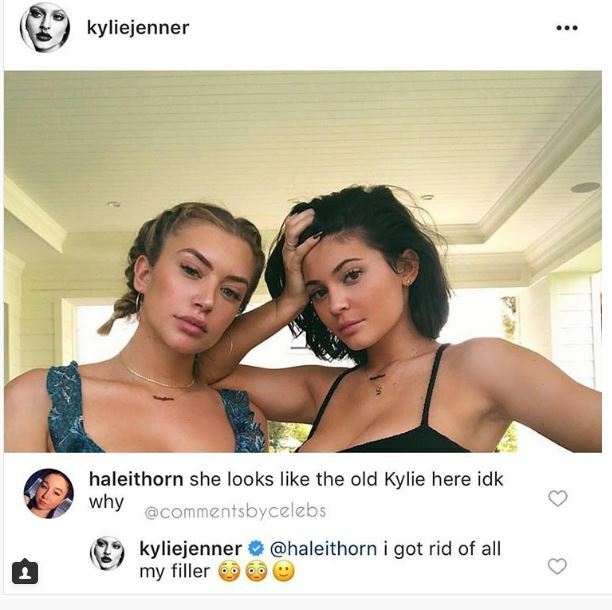 In one of her recent posts someone commented, “She looks like the old Kylie here idk.” To which Kylie replied, “I got rid of all my filler.”Yup, Kylie is lip filler-free and we’re here for it. Seeing her without them might need some getting used to but she still looks good.